Our goal is to promote Hand and Upper Extremity injury prevention through education. Share our goal. Become an advocate for hand safety in your region. Speak to your local media. Use social media. Post information on your website. 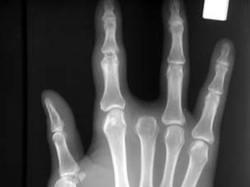 For much more regarding the hand and upper extremity visit handcare.org the new portal for the ASSH ...a fantastic resource and the ideal terminus for many of these topics.